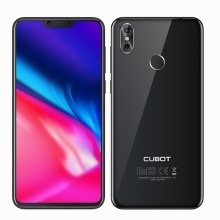 The Cubot P20 comes with 64GB of storage for the 4GB of RAM model, equipped with MT6750T Octa-Coreprocessor, as well as running on a foundation of Android 8.0 with built in 4000mAh battery, and also appreciate the large 6.18inch FHD+ IPS Display with 2246 x 1080p resolution,, fitting with the exact same 20-megapixel rear camera captures each moment with a rather clear memory. Featuring a 19:9 full display with the 6.18inch FHD+ IPS display, higher color saturation, the bright and vivid color balance, Cubot P20 offers a quite awesome visual experience. Running MT6750T, 1.5GHz chip with octa-core processor, combined with 4GB of RAM and 64GB ROM of internal storage, the Cubot P20 delivers you smooth using speed, lets you enjoy your phone world freely. Cubot P20 houses a 4000mAh battery to help store enough power for the daily use. Equipped with two capture sensors, one with 20.0MP and the other with 2.0MP, combined with 13.0MP selfie camera, Cubot P20 offers you unprecedented pleasure when you raise the phone to record the precious moment of yourself. The Cubot P20 with both fingerprint provides you with options you can use to quickly get your phone unlocked. Powered by Android Oreo 8.0, the Cubot P20 is faster, smarter, safer and much more efficient. It is bound to offer you smoother and sweater operation experience. Multilanguage Support, please check out the pictures. Other Features TXT, CHM, DOC, HTML, etc.